For a limited time, little ones can play on the cheap during Toddler Time at Legoland Discovery Center Atlanta. On Tuesday mornings, everyone age 2+ can read, play & build at Legoland Discovery Center Atlanta for $11.95 each+tax; order tickets online to get the deal. Through July 31, 2017, if you show proof of an A or B (or equivalent of E or S) report card at admissions, you’ll save 50% on a walk-up child’s ticket to Legoland Discovery Center Atlanta. The deal is valid for students in grades K-5 only. Per a reader tip, Lego Club magazine (you can sign up for a free subscription here) usually includes a coupon good for one free child ticket when you purchase an adult ticket. 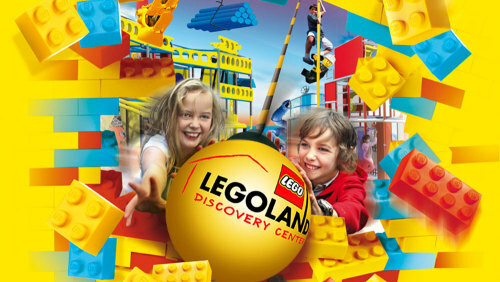 Your ticket includes entrance to the Legoland Discovery Center Atlanta + unlimited admission to Lego rides, the 4D cinema, and the attractions, including Lego Miniland, Pirate Adventure Island, Lego Friends Olivia’s House, Merlin’s Apprentice Ride, Kingdom Quest Laser Ride, & more. Plus you can explore Legoland Discovery Center Atlanta’s newest exhibition: Space Mission.